"All they said was 'Let's go.'" 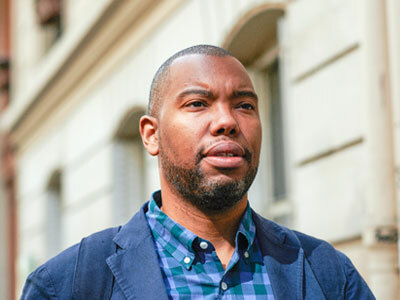 Coates is referring, of course, to The Case for Reparations, his epic June 2014 cover story for The Atlantic about the effects of racism and racist policies on African Americans throughout America’s history–a story that was still being discussed and dissected weeks after its publication. “At once deeply felt and intensely researched,” the MacArthur Foundation wrote of the piece on its bio page for Coates, “the essay prompted a national conversation.” Coates had produced significant work before and since The Case for Reparations, but that piece really showcased Coates’ ability to get different cross-sections of the American public talking. Coates joins 23 other fellows from a broad range of background and disciplines, selected this year, as always, for the creativity of their work and the potential for more. Recipients each receive a completely-obligation-free $625,000 “genius” grant, distributed over five years. The number of fellows changes annually, but somewhere between 20 and 30 are typically chosen. The first class of fellows was announced in 1981.